The lack of recognition of Romani gender politics in the wider Romani movement and the women’s movements is accompanied by a scarcity of academic literature on Romani women’s mobilization in wider social justice struggles and debates. The Romani Women’s Movement highlights the role that Romani women’s politics plays in shaping equality related discourses, policies, and movements in Central, Eastern and South-Eastern Europe. 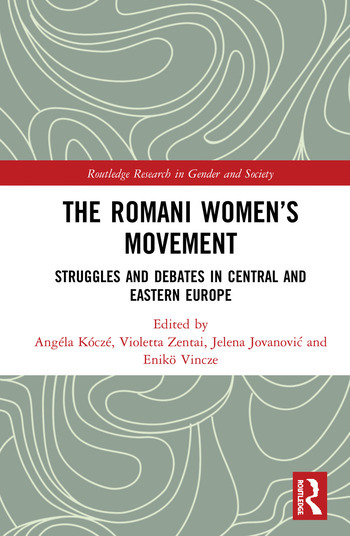 Presenting the diverse experiences and voices of Romani women activists, this volume reveals how they translate experiences of structural inequalities into political struggles by defining their own spaces of action; participating in formalized or less formal activist practices, and challenging the agendas and mechanisms of the established Romani and women’s movements. Moving discourses on and of Romani women from the periphery of scholarly exchanges to the mainstream, the volume invites scholars and activists from different disciplines and movements to critically reflect on their engagements with particular social justice agendas. It will appeal to students, researchers and practitioners interested in fields such as social movements, gender equality, and social and ethnic justice. Chapter 9 The Dilemmas of the Romani Women’s Movement in Bulgaria: From Assimilation to Empowerment? Angéla Kóczé is Assistant Professor of Romani Studies and Academic Director of the Roma Graduate Preparation Program at Central European University, Budapest, Hungary. Violetta Zentai is co-director of the Center for Policy Studies at the Central European University, Budapest, Hungary. Jelena Jovanovic is Policy and Research Coordinator for the European Roma Grassroots Organizations (ERGO) Network, Brussels, Belgium as well as Research Affiliate of the Center for Policy Studies at Central European University, Budapest, Hungary. Eniko Vincze is Professor at Babes-Bolyai University and housing activist in Cluj, Romania.